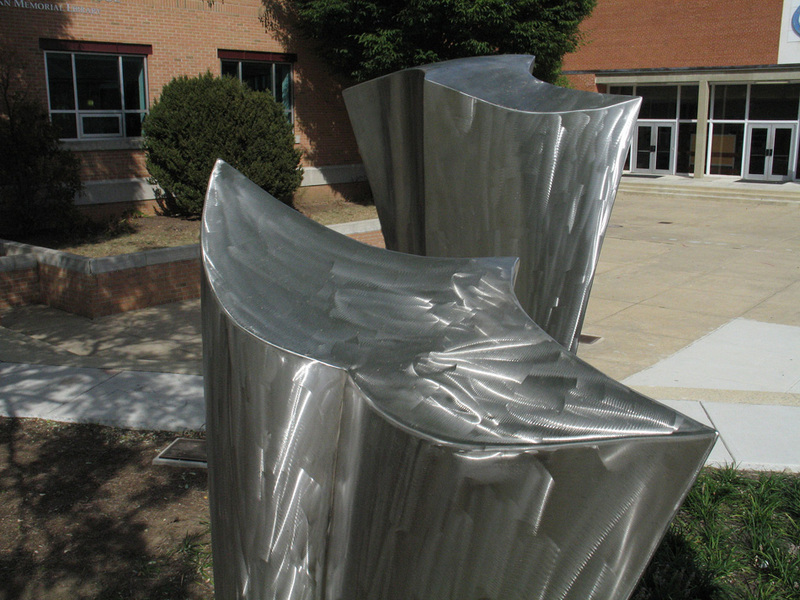 This wind-driven sculpture combines both science and art. Created for a private PK-12 school in Washington, DC, the three elements represent the students at the Lower, Middle, and Upper Schools. 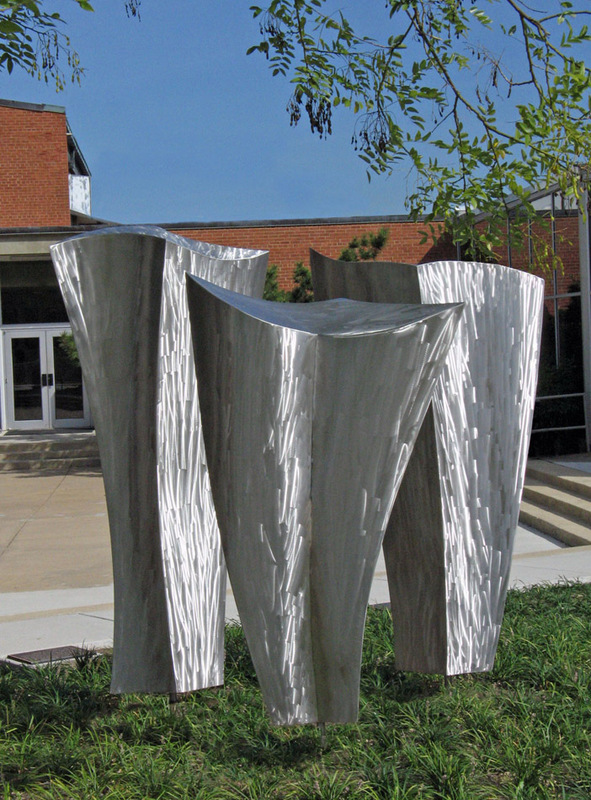 Standing before the sculpture, one becomes aware of the complex dynamic between the “schools.” At times, they face each other harmoniously, while other times they face away, standing independently. Occasionally, only one of the “schools” moves, while the others look on in stillness. The variety of movement is symbolic of the human condition, and therefore allows one’s imagination to wander and consider the sculpture as a metaphor for life. 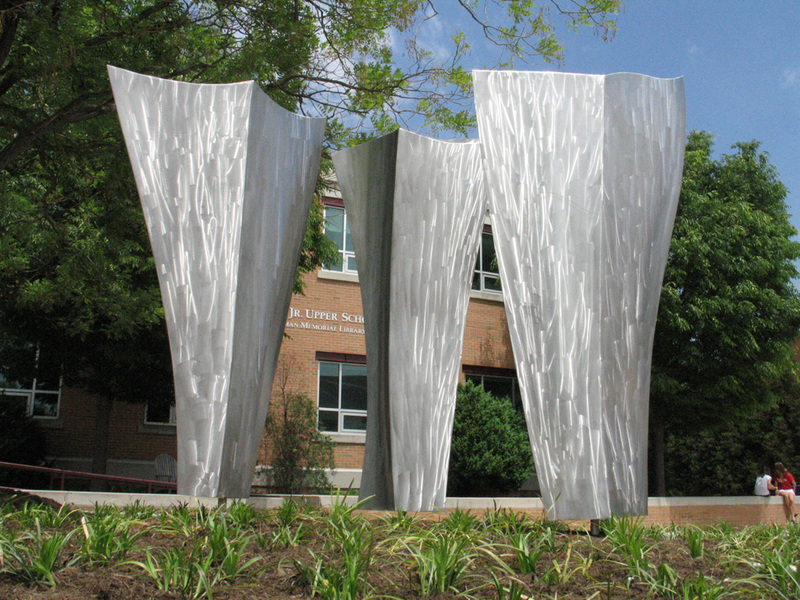 Created for the Sidwell Friends School, Washington, DC.